Polaroid cameras are known around the world for their ability to instantly produce pictures just right after taking them. Their convenience and portable design made them very popular to a lot of photographers and casual users alike. With the ability to capture the best and most memorable moments at a short notice, it is no surprise that Polaroid pictures are quite abundant, especially for regular users. 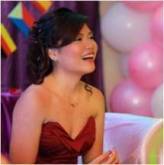 With a good amount of pictures at hand, you can use these photos as part of your room decoration. Here are some DIY Tips on how to make your best and favorite Polaroid pictures into fascinating and dazzling room design and decoration. 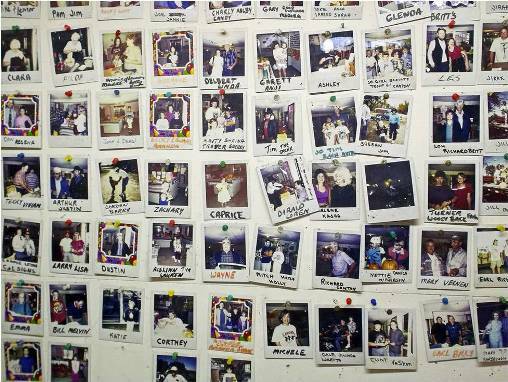 One of the simplest design ideas for a Polaroid room is by simply making a Polaroid wall. Simply put, all you have to do is to cover up your wall (or walls) with some of your best and favorite Polaroid pictures. You can also add some variety and turn your room into a small photo exhibit. You can label a section in the wall, and even have a short story and description about that photo. So the next time your friends come to visit, you can have wonderful and interesting conversations about all your favorite moments. 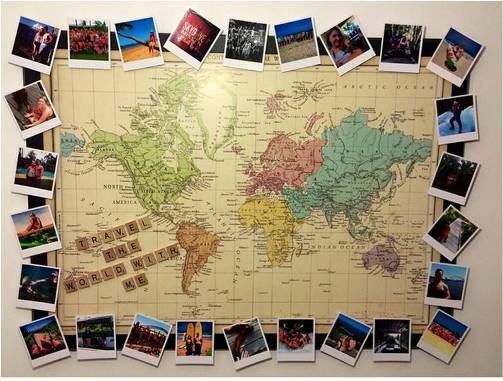 For those who are avid travellers, another creative way to post your photos is by putting them in one large pinboard with a map. You can post your photos, and pin down on the map where that photo was taken. As you keep on travelling to different places, number of photos you have, and the places you visit just increase. This is a great way to keep track of the places you visited, and the places you have yet to visit. This is also a great way to display all your best travel memories with your friends and loved ones. 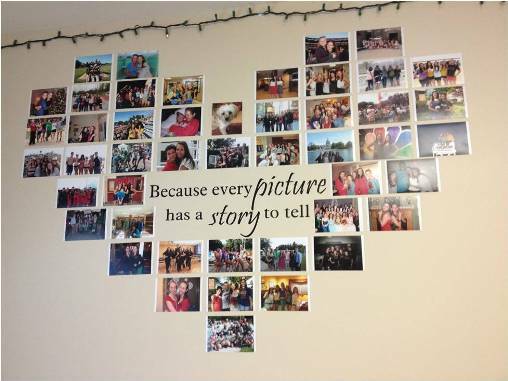 A simple but creative way to post and present your photos in your room is by shaping them up. You can arrange your photos into different shapes and letters. Want to shape your photos into hearts? Or maybe you want to spell out some words? Or would you like spelling out your name using photos? Creating shapes and letters out of your photos is another great idea to give your room a nice design that makes your room stand out. Another way to keep your room design interesting, while also having a sense of organization, is by putting your photos into picture frames. 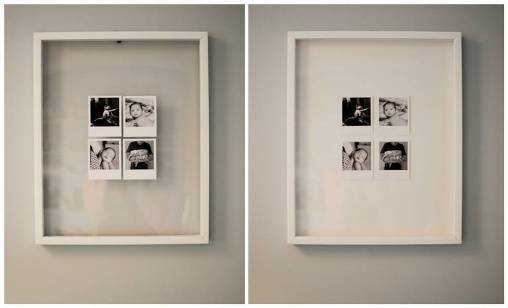 There are some frames available for Polaroid photos, which can help make them stand out. You can also use some Washi tape to give your frames some more color.You can also add other pieces of decoration like ribbons, flowers, and pins for a more personal touch. Designing your own Polaroid room offers you a good amount to options when it comes to design choices. Being as creative as possible will definitely give you the ideal room design, and make it stand out among the rest. Designing a room using some of your best memories in photograph is really something that gives you beautiful aesthetic creative design, and a slight feeling of wonderful nostalgia.